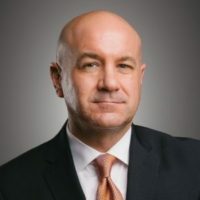 The AMA is proud to welcome Robert Hicks, executive vice president at Alliance Residential Company, back to the AMA Executive Committee. Robert will serve as the interim vice chair for the board, replacing Dale Phillips who resigned in April. In related news, John Carlson of Mark-Taylor nominated Linda Coburn, asset manager, for the Board of Directors vacancy. Over the past 10 years, Coburn has been a strong AMA advocate and a member of numerous committees. The AMA is honored to welcome her to the Board. Amy Smith and Chris Evans will continue to serve in their leadership roles to allow other new members of the executive committee to train for their new leadership positions on the AMA Board. Nicole Wray of Greystar will ascend to the vice chair role next year. The AMA thanks Dale Phillips for his many years of dedicated service to the Board. 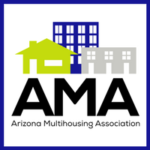 This article was originally published in the June/July 2017 issue of Apartment News, the official print publication of the Arizona Multihousing Association. To order copies of this magazine, contact the AMA.